LEGO’s Creator expert series features sets modeled after real life vehicles like this MINI Cooper, and now the company is introducing the newest member of the family with the Ferrari F40. 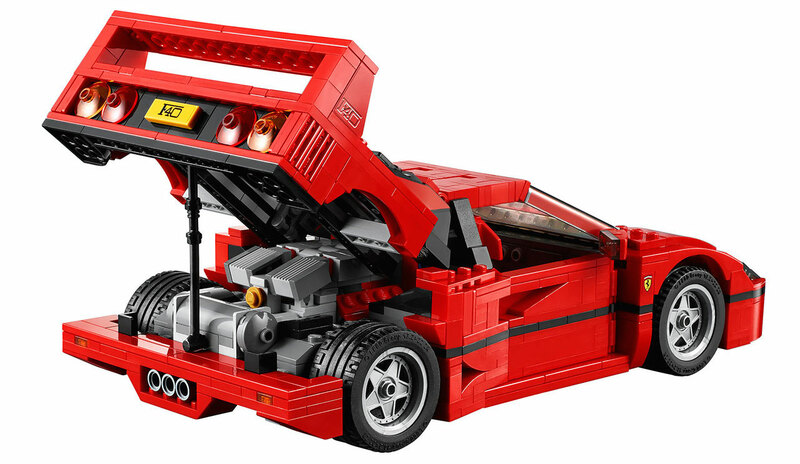 The iconic supercar has been meticulously crafted by professional LEGO designers in tandem with Ferrari to bring the F40 the life in all its blocky glory. At more than 1,100 pieces, LEGO has spared no expense here. From the famous rear spoiler, pop-up headlights, emblazoned Ferrari steering wheel and racing red seats, the model is highly detailed inside and out. On top of the side air intakes and a fully accessible luggage/tool compartment under the hood, the car’s entire see-through rear hatch lifts up to reveal the removable (and highly detailed) V8 engine. As you can see in the image above, LEGO has also thrown in a small piece to prop-up the hatch. 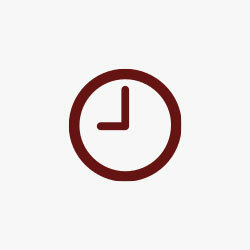 In total, the model measures about 10 x 5 inches, and about 3 inches in height. LEGO VIP members will be able to get their hands on it in just a few weeks on July 15th. 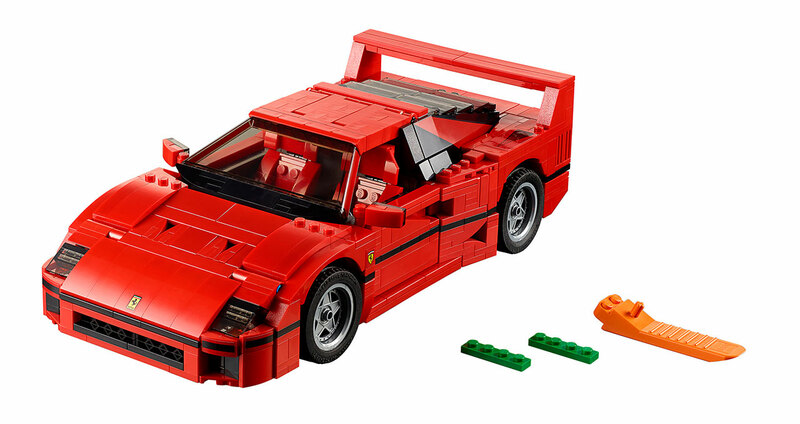 For all of us regular folk, the new LEGO Creator Ferrari F40 will come available in August for $89.99 via LEGO.com and other retailers. There are certainly a number of sports car LEGO sets for much less than that, but you won’t be getting as large a model or the same level of detail.